Our sustainable driftwood sculptures and root balls are created using natural pieces of reclaimed wood, therefore, each piece varies in shape, size, and texture. This method of working allows for truly unique outdoor ornaments to be created, with each one being exclusive to the owner. The distinctive designs are very much informed by the natural grain, curvature, and shape of the driftwood or root ball, giving each piece an organic, natural form. The popular driftwood balls have a natural, subtle presence, but at the same time are incredibly eye catching. These sustainable outdoor sculptures are available with either a rough face or a smooth face, in a variety of sizes (see below for details). They are hollow inside and so can be backlit to create a beautiful display of erratic shadows. This creates an inspiring light display in your garden and instantly adds a touch of magic and warmth. Driftwood balls are an effective way of bringing a nautical theme to any indoor or outdoor space; choose the rough finish for a more natural look, or if your décor is slightly more polished, the smooth ball will complement this nicely. Complete the look with an outdoor seat from our range of Old Boat furniture, or if the sculpture is being presented indoors, take a look at our range of Driftwood tables and mirrors. Carefully crafted out of complete teak root structures, sculptures in ‘The Apple Collection’ have a beautifully organic form. The root is shaped into a round ball before being finished with a polish to enhance the grain and give the sculpture long-term protection from the elements. 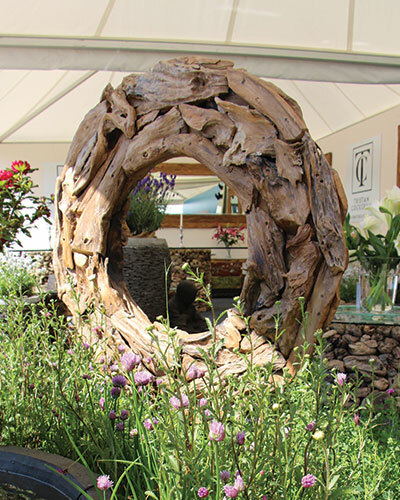 The knots and grains in the teak roots give the sculptures a timeless charm that can bring a theme of sophistication and elegance to any garden or outdoor space. As with all of our furniture and sculptures, the root balls are sourced using a sustainable process. This eco policy is very important to us – we like to ensure that all of our processes have a minimal effect on the natural environment. Each individual root base is hand-picked for its unique features and every sculpture is formed out of just one root system. Our focus is on the design quality of each piece, rather than mass production - this means that our ethical policies are not lost and you can be certain that you’re receiving the very finest product. 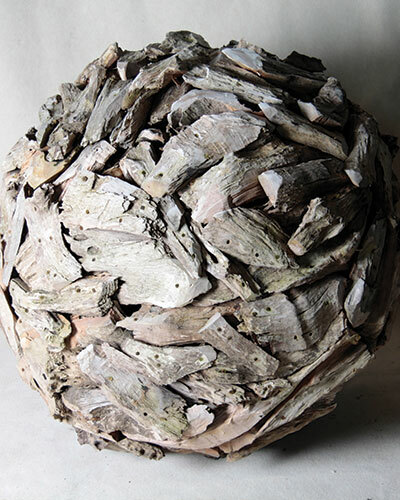 Teak root ball sculptures are available in 3 standard sizes (small, medium and large), all of which are detailed below. However, we also welcome commissions for bespoke pieces. 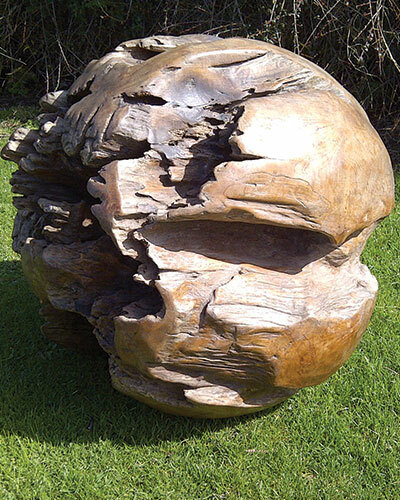 Whether you opt for a standard size root ball or a bespoke piece, you can be sure that your sculpture will be completely unique.